Tired of paying $20 or $30 for a Salem ghost tour late at night? You spend a lot of money and only get to see five or six places. 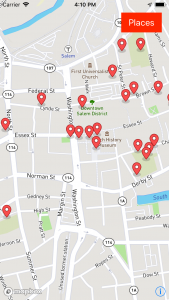 Now with the Salem Ghost Map from SalemGhostMap.com you can see over 40 haunted places for only $1.99 on your schedule with an iPhone. 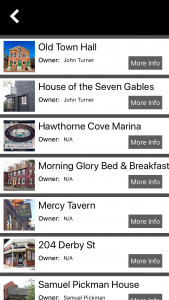 The Salem Ghost Map app is very easy to use. When you load it you get a map of Salem that automatically picks up your location. 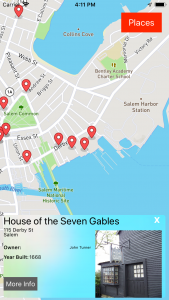 You can either wander around town and click on different buildings like the House of the Seven Gables or other landmarks like the Old Witch Gaol to learn the history. You can access turn by turn navigation to each place by clicking the ‘Walking Man’ at the top right corner. 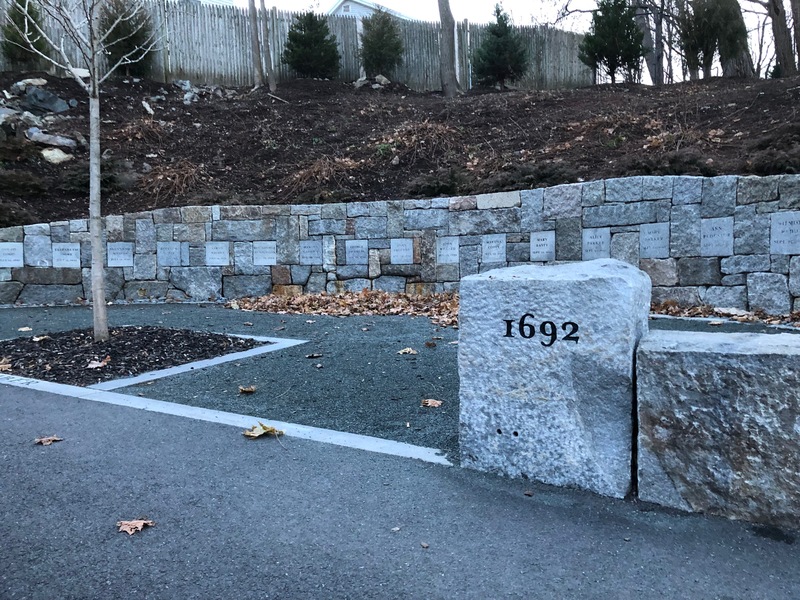 With the exception of a few places like St. Marys Cemetery and a few of the other haunted locations in outlying areas just about everything in Salem is within walking distance. 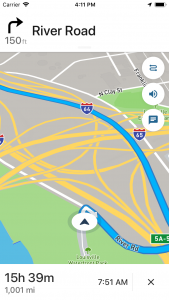 You can also click “Places” at any time on the map to pick a location to go to. Take a tour of Salem on your schedule for under two bucks. You can find it the iTunes App Store.